Firepower Records, Rushdown, Kinphonic, Most Addictive Records, etc. On this pack he pulls out all the stops and brings you presets made for the full range of dubstep styles around. Ranging from melodic dubstep chords and synths to the dirty nasty basses that are so typical for dubstep. This pack is sure to boost your output with fresh sounds and new inspiration. 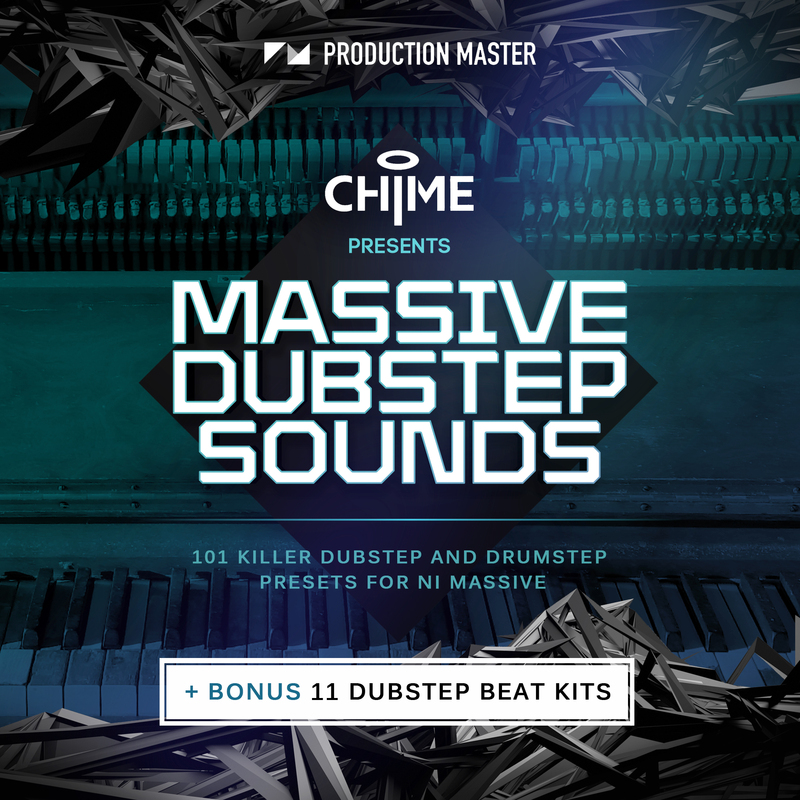 On top of this you also get 11 full beat kits, carefully crafted by Chime himself. Drag a beat into your DAW of choice and get blown away by the massive kicks, snares and driving percussion loops!